Are you a resident of St Louis Park? If so, you should invest in maintaining your roof. Why? Due to the weather in St Louis Park, the chances of your roof getting damaged are high. Such a situation may arise because roofs undergo contraction or expansion each time the weather changes. 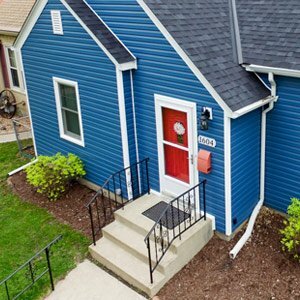 Since St Louis Park is known for its smoldering heat in July as well as its biting cold in January, if you live in the area, your house is bound to get affected by the intense weather conditions. Therefore, it is vital for you to choose amongst the variety of roofing contractors St Louis Park MN has to offer. One such company is Snapconstruction Roofing. 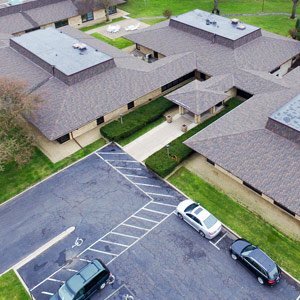 Among the range of roofing contractors St Louis Park MN has available, Snapconstruction will prove to be an excellent choice for all those who are looking for a durable, cost-effective roofing solution. This company accompanies its services with a lifetime warranty which makes roof maintenance a true one-time investment. If your roof exhibits similar problems after the service has been carried out, the company will provide you its services for free. Such a feature makes the roof contractors atSnapconstructionreally stand out from the crowd. The roofing company also ensures that you are provided with the best services possible. This is guaranteed by the fact that Snapconstruction invests in training its staff and making sure that they are certified and up to the task. You should expect top-notch work from these contractors. Snapconstruction is also equipped with all the necessary documentation, including insurance. Such a consideration means that if there is an accident during the repair of your rood, you will not be personally liable for it. Hence, hiring roof contractors from Snapconstruction is not only cost-effective but offers you complete peace of mind. The company also offers various all-inclusive packages so as to provide you with different options according to your budget. One thing all of the offers have in common is the durability of the roof which you will receive and the quality of the service. All in all, regardless of whether you choose Snapconstruction in particular, the fact remains that if you are a resident in area, you should invest in one of the roofing contractors St Louis Park MN has to offer. It is vital for you to do so if you wish to protect yourself, as well as your family, from the harsh weather conditions. We know that for you, your roof can often feel like the least crucial and most ignored element of your house. However, this component not only serves to be a protective shield, but plays an important part in giving your house more style and a great design! Make sure you treat your roof well so that it is in a position to repay you by protecting you for many years to come. Hire a professional roofing contractor, and invest in regular repair and maintenance of your roof. Be wise about it; but pick one of the credible roofing contractors St Louis Park MN has. Click here for more about Opting for the Right Approach to Get a Suitable Roof Replacement Contractor.